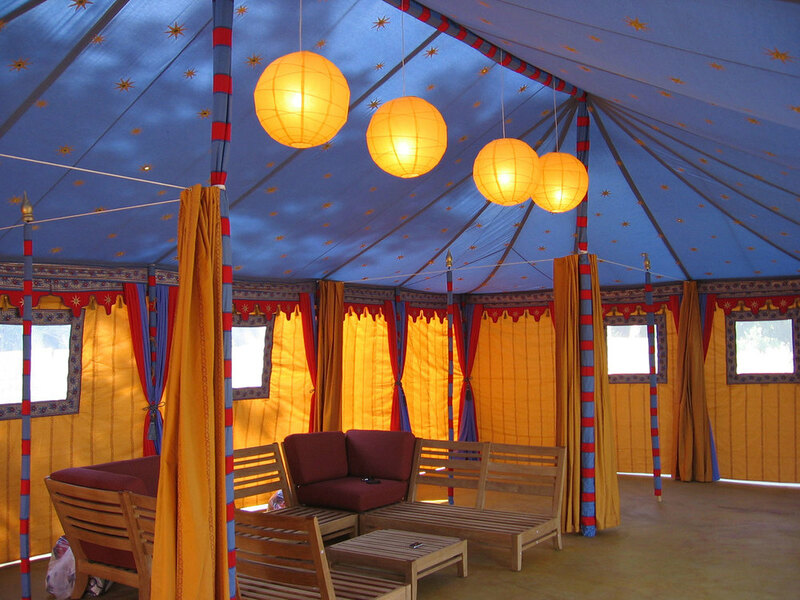 Learn more about how Raj Tents can create custom tenting and décor to meet your unique needs. If you have a special need that is not covered in our inventory, we can work with you to create custom tenting and decor. We can design, produce, and install custom creations. Raj Tents' Custom Shop is the place to come when we do not have exactly what you need in our inventory. It is impossible to stock every possible alternative and often specific events are branded with colors and motifs that designers wish to accommodate in the decor. Offering a full design and manufacture service for our clients means we can add tremendous value to events. For event designers and planners, having the resources to be able to personalize decor for clients is a big benefit and often a relatively small customization can significantly alter the overall look. 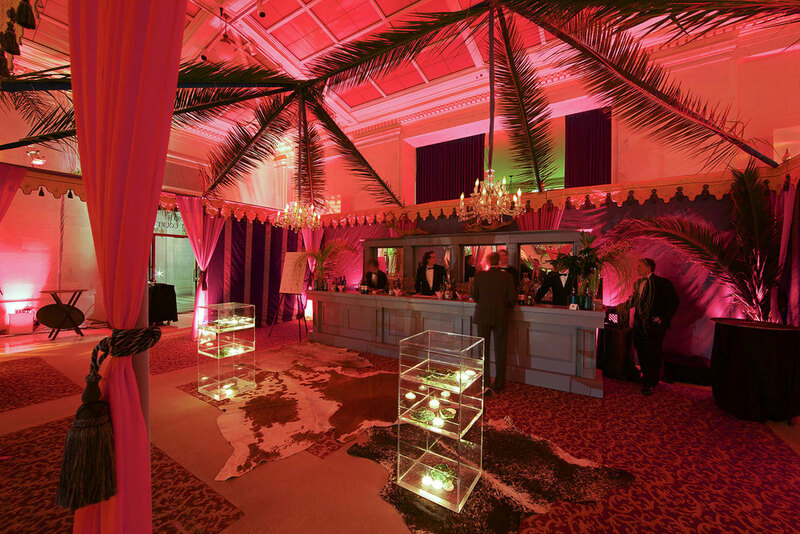 As well as for events, Raj Tents offers there bespoke luxury tent manufacture service to the Film and TV industry, where we have designed and manufactures thematic tenting for sets for some of the top films and TV shows. Raj Tents also designs and manufactures tenting for resorts and private clients, with the most popular tent for purchase being our Pergola Tent.